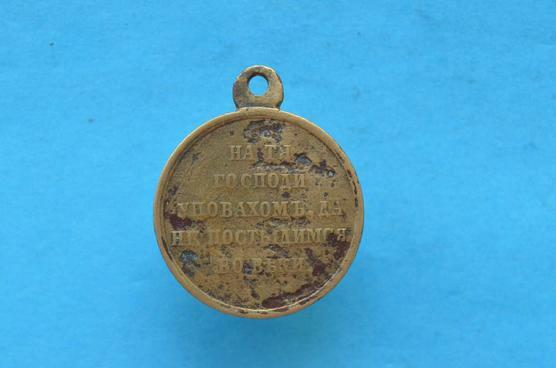 and was officially known under the name of "Medal for the Eastern War". crowned ciphers of the Emeperors Nicholas I and Alexander II topped by the all-seeing eye emanating flaming rays. 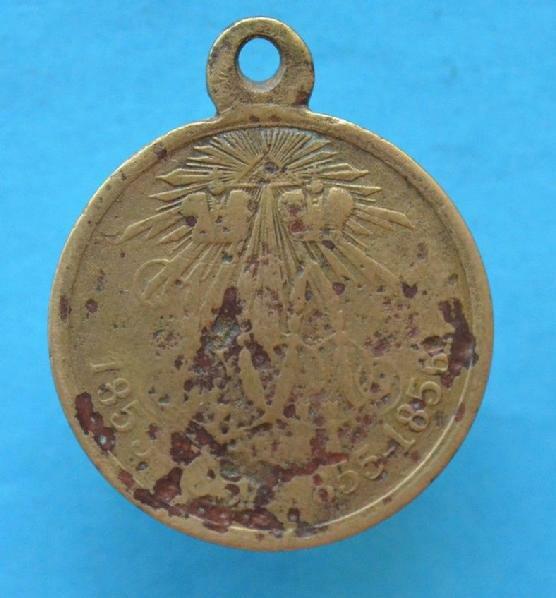 The dates: "1853-1854-1855-1856" are placed under the ciphers.The reverse of the Medal is plain except for an inscription signifying: "We have Set Our Hopes in Thee O Lord, Let Us Never Be Ashamed." Condition: Worn in good condition.